Ms. Gold began her legal career in 1986 when the Pennsylvania Bar Association approved her to practice law in the state. The New Jersey State Bar Association followed suit in 1987. 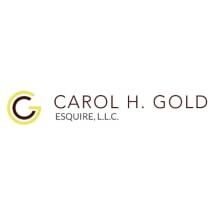 In the nearly 30 years since she began her career, Carol Gold has earned a reputation as a dependable, yet aggressive, attorney. If you would like to learn how her law firm can help you with your legal matter, you can take advantage of a free initial consultation at her Mount Holly law office.